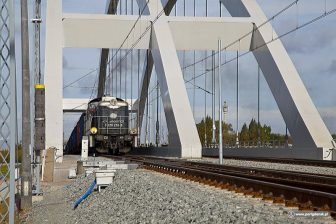 When sanctions on Iran were removed in 2016, European railway companies gradually started setting up rail freight corridors to or via Iran. This year, some of those sanctions re-imposed, with the first set of restrictions implemented on 6 August. 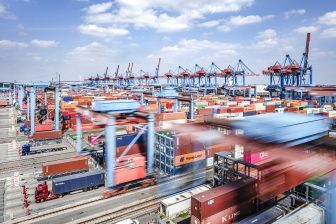 Certainly not every shipment will be targeted, but European firms are urged to analyse their transaction before putting it on a train to Iran. On 8 May 2018 US president Donald Trump announced to leave the nuclear deal that was signed with Iran on 16 January 2016. He also said to re-impose the sanctions that were in place before this deal was made. These also include the secondary sanctions, which target people or entities without any ties with the US. For example, when a European shipper deals with Iran in any of the sanctioned trades, this person is in breach of US legislation. The first set of sanctions will hit on 6 August. These include, among others, sanctions on the Iranian automotive industry, as well as supply or trade of metals such as aluminum and steel, graphite, coal and certain software for integrating industrial processes. Moreover, gold and other precious metals are sanctioned from next month. On 4 November, the list of sanctioned products will be extended to include the purchase of petroleum and petrochemical products with a number of Iranian oil companies, and the Iranian energy sector. Moreover, sanctions will be in place on foreign financial institutions transacting with the Central Bank of Iran and other Iranian financial institutions, as well as the provision of certain financial messaging services to Iran’s central bank and other Iranian financial institutions. Also trade with Iranian ports will be sanctioned from the end of this year. As a response to the US sanctions on Iran, the EU announced on 17 May 2018 the intention to adopt the EU Blocking Statute. This legislation forbids European persons and entities to comply with the secundary santions. In addition, when persons or entities are fined according to the US sanctions, they are eligible for compensation. Non-European legislation that runs counter to these rules will not be recognised in the EU. “This legislation may force financial institutions to cooperate in transactions with Iran”, said Bennink. “After all, they could not argue that they are acting in breach with US law.” However, the lawyer added it remains to be seen how this legislation is implemented by the individual member states, and how European companies respond to the contradicting legislation of the US on the one side, and the EU on the other. 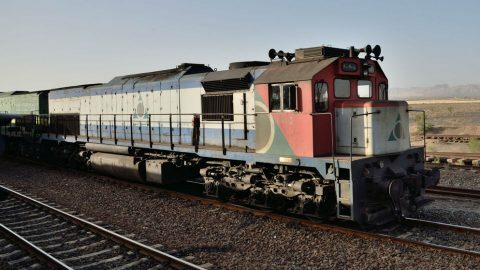 Apart from the direct effect of the US sanctions on Iran, the indirect effect is that availability of rail freight services may decrease. The hopeful response to the lifting of sanctions in 2016 is now likely to be halted. Last year August, Iran and Turkey committed to enhancing rail freight traffic via the Razi border crossing. 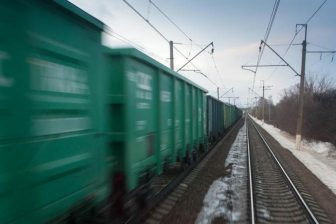 When sanctions on Iran were lifted in 2016, German firms DHL, DB Cargo and DB Schenker expressed their interest in developing rail freight services along this corridor, as well as exploring a multimodal route via the black sea, Georgia, Azerbaijan and Iran. These plans have now been put on hold. There are still services on the south-west offshoot of the North-South Transport Corridor. This route connects Slavkov in Poland and Bandar Abbas in Iran via Ukraine, Georgia, Azerbaijan and Turkmenistan. Hupac Intermodal offers services via this route, but on demand as the volumes have not picked. The company points at the unstable political situation as the main factor for the slow growth of traffic. Some sectors are not very likely to be hit by the sanctions, he explains. This is true for medical equipment, medicine, fruits and vegetables. Oil and gas companies on the contrary are most likely to be affected by the sanctions, he said. “It is also important to keep in mind existing European legislation, which sanctions transactions that are in breach with human rights. For example, a product could eventually be used by the Iranian army, while this was not the receiving party of the cargo. That is why it is important to due a check on all the people involved with the transaction”, he advised. Sebastiaan Bennink will speak at the New Silk Road Congres, held on 27 September in Tilburg the Netherlands to discuss the trade restrictions in Russia. All that shows that, the US is trying to manipulate european economy to follow like an depending state – no difference to the hegemonial influence of sovjet Russia on eastern europe. European companies shall not deal with Russia, not with Iran…. Irak and Syria are destroyed, having been modern countries. – It is time to file a unmisunderstandable european position towards the US, and making euroipean companies think about their dependences from US policies.